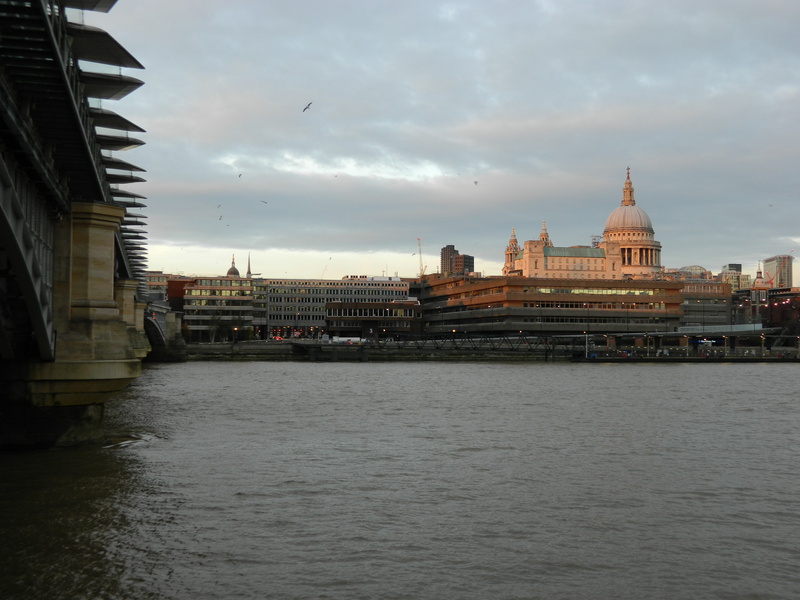 The Firewatcher Chronicles are set during the Blitz in London, and in a very specific area by the banks of the Thames: Puddle Dock and the City, up to St Paul’s Cathedral. Here’s what that area looks like now, from across the river. I admit it’s not all that glamorous (besides that glorious cathedral, glowing in the evening light). Puddle Dock now houses a theatre, apartments and offices, and is tucked in between two busy roads. There’s no dock any more. 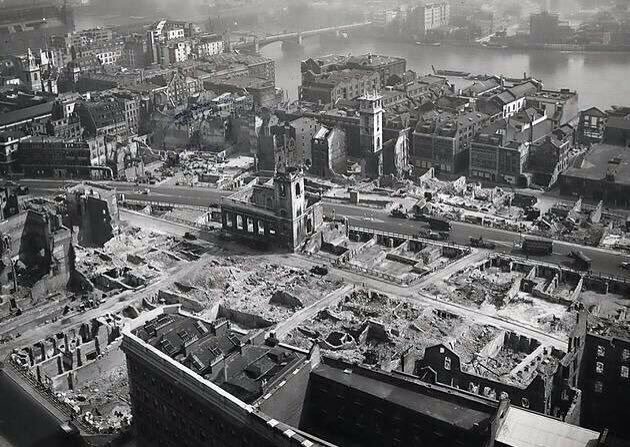 Great swathes of the City are like that, not just because it is still one of the great financial centres of the world and therefore filled with office blocks, but also because so much of the area was flattened in the Blitz. Brimstone, the first book in the Chronicles, takes place on the night of 29 December 1940, when wave after wave of German air force bombers dropped 100,000 incendiary bombs, followed by more than 20,000 high explosive bombs and parachute mines, starting a series of fires that devastated the City. 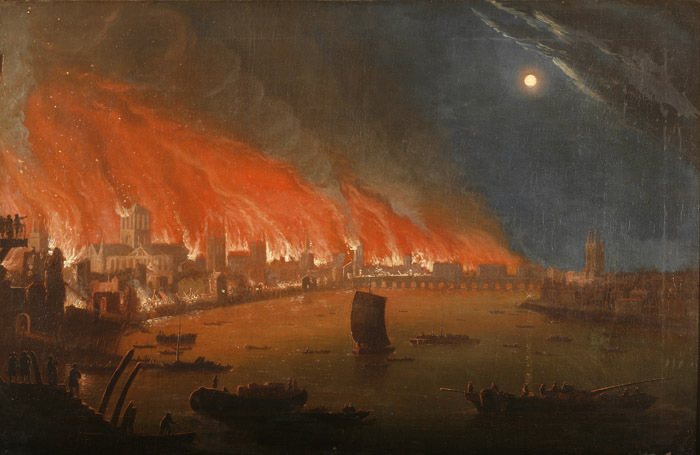 That night became known as the Second Great Fire of London. 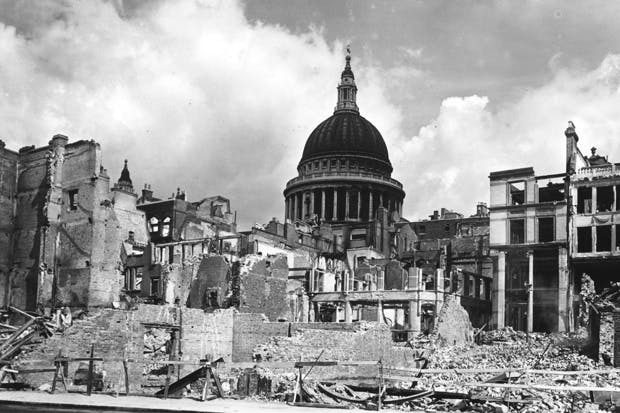 Among the worst-hit areas were places burned in the first Great Fire of London – Paternoster Square and the area around St Paul’s Cathedral, right down to the banks of the Thames, including many of the churches rebuilt after the Great Fire by Sir Christopher Wren. 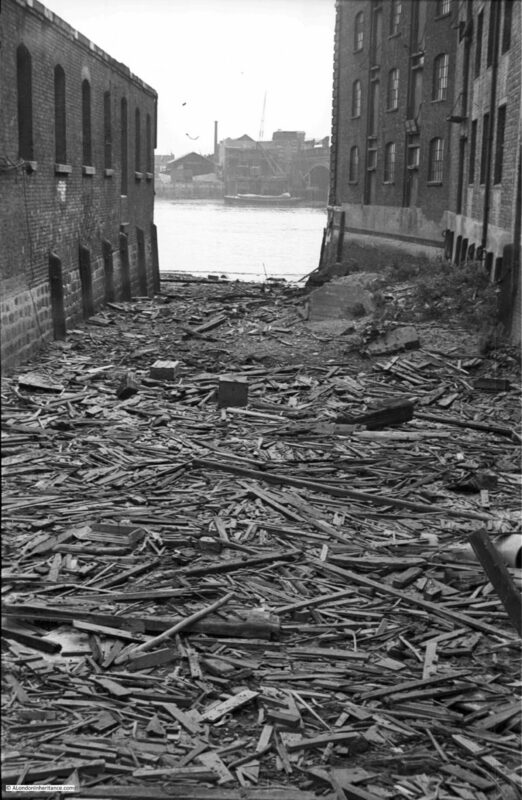 And much of the area around Puddle Dock. 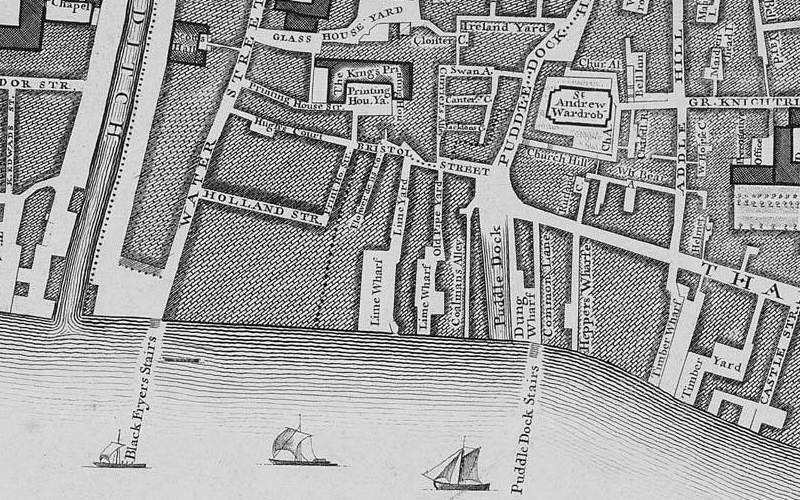 Hundreds of years before the Blitz, on the night of 2 September 1666, the original Great Fire of London started in Pudding Lane. How terrifying that must have been! 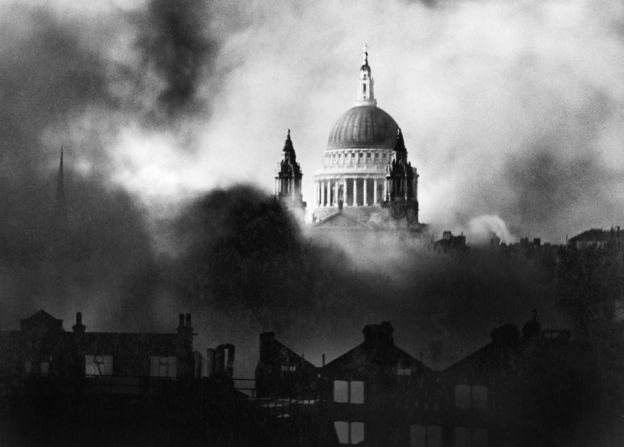 This is Herbert Mason’s famous photo, ‘St Paul’s Survives’, one of the most iconic images from the Blitz, and taken on the night of 30 December 1940 – the night on which Brimstone is partly set. This photo meant so much to Londoners, and people across the world who were watching with horror as the Nazi attacked Britain and many other places. London had just copped a beating, but the cathedral was still standing – surrounded by smoke and flames. So you can see what poor Christopher has to deal with in Brimstone, time-travelling between not just one but both of these enormous conflagrations. 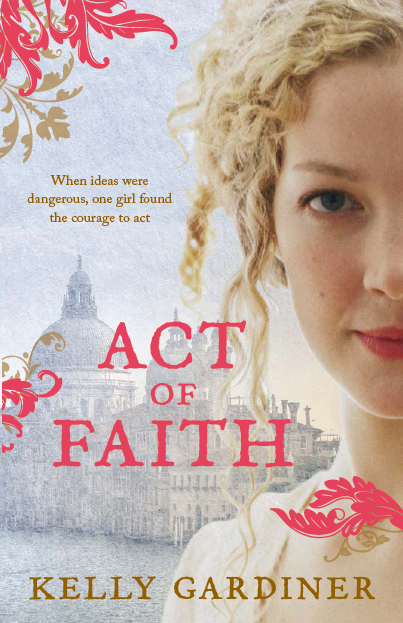 And, perhaps, why I couldn’t resist writing a story about a kid who fights both of the great fires of London in one night. That sounds AMAZING. Can’t wait to hear how all those fantastic things turn out! I’m sorry it’s taken me so long to reply. I hope you’ll forgive me when I tell you why – I haven’t been on my computer much for a few weeks, because I’m on the other side of the world, in England, doing research for book 3 in the Firewatcher Chronicles. 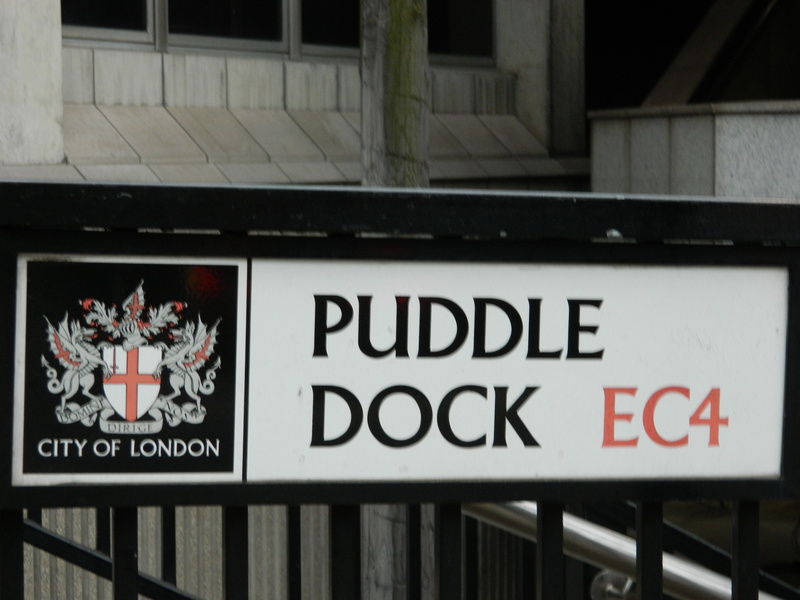 So just a few days ago, I was standing again in Puddle Dock, planning more adventures for Christopher and his friends. Now I’m in Norwich (maybe you can find it on a map?) which is quite a way from London, but book 3 is all about Roman London and the ancient tribes who burnt the town down then came from around this way. They were led by their queen, Boudica, who just might make an appearance in book 3. You never know. So that’s what I’ve been up to. In the meantime, I guess you’ve been reading Brimstone, and I do hope you like it. If you’ve got any questions about the book, let me know and I promise to reply faster next time. Good luck with making your wonderful display and the ring and all of your plans. I bet the other students love it. And thank you so much for writing to me.